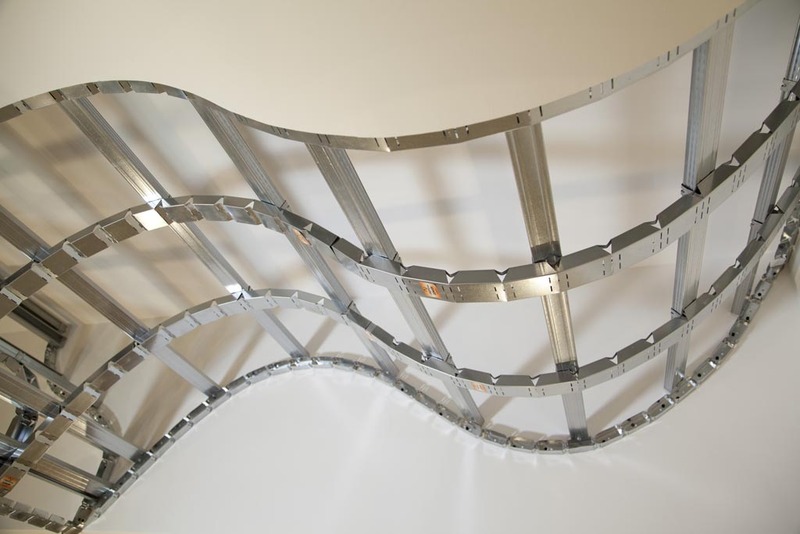 The CONCAVE & CONVEX CURVING STUDS are two special studs designed for drywall ceilings with curving shapes. 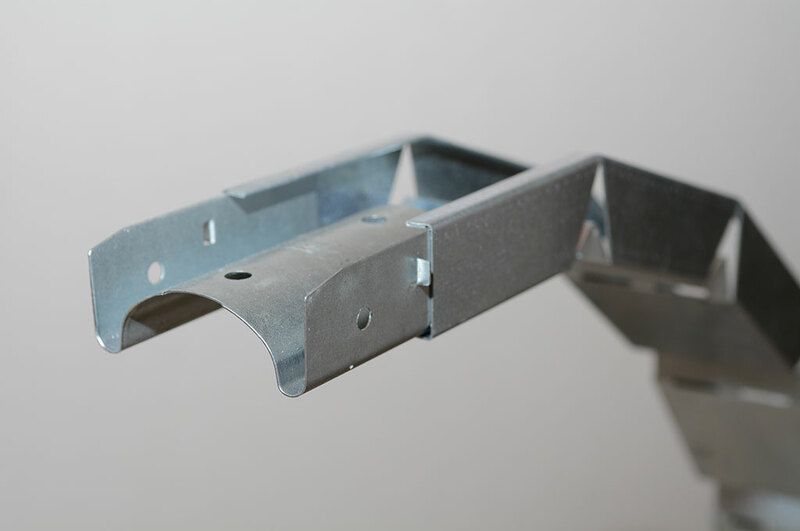 CONCAVE & CONVEX are made of zinc-coated steel, with a thickness of 0,6 mm and they are produced in accordance to the standard EN 10346 and EN 10143. 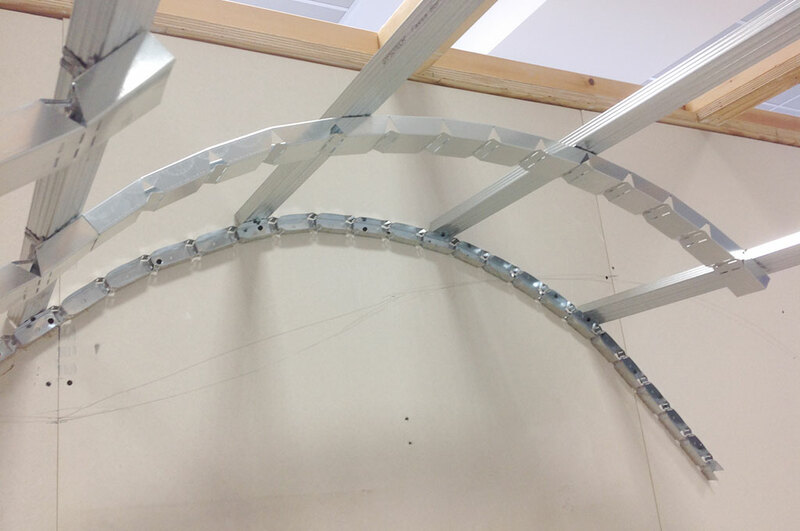 The CONCAVE Stud is conceived for the creation of concave elements such as barrel vaults, arches, cross vaults, domes, rib vaults. 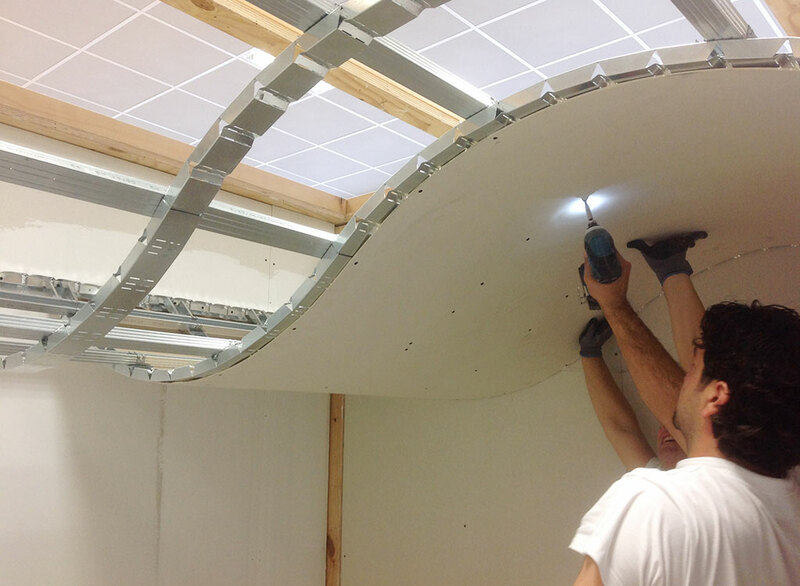 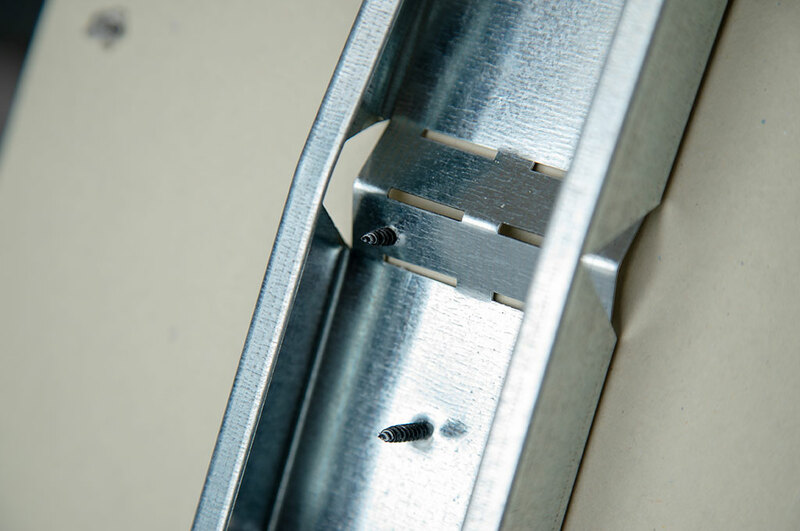 The CONVEX Stud, instead, is ideal for the realisation of outward elements such as waves, and convex cyma moldings. 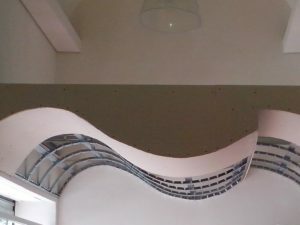 Furthermore, it is optimal for the dressing up of air ducts, cables, beams, corners and columns, in order to improve the acoustic comfort and gain a better aestethic result. 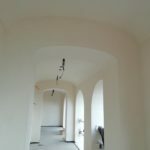 Their structure can create, with great ease curved false ceilings, domes, barrel vaults, rib vaults, waves, cambered ceilings etc. They can easily be bent by hand by just one person. 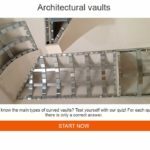 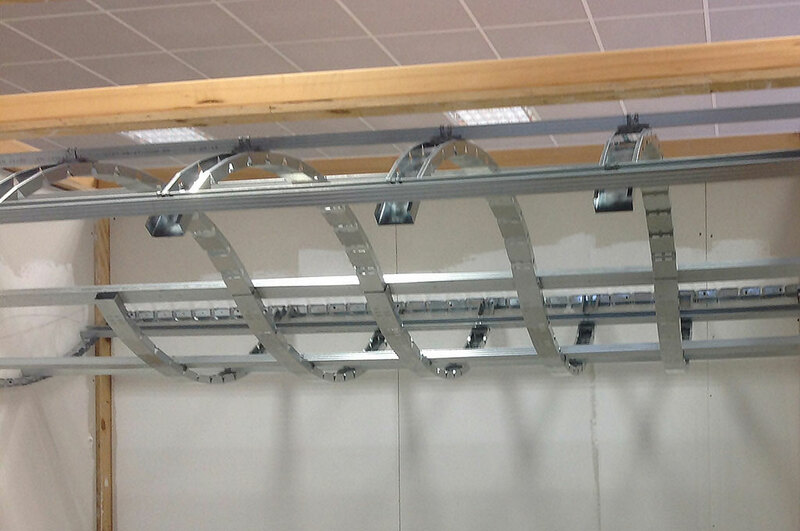 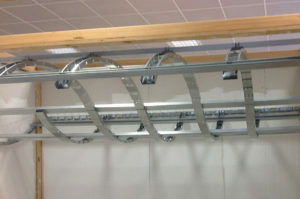 The structures are built with a double metal framework, using orthogonal hooks similar to those normally used for the construction of a flat false ceiling. 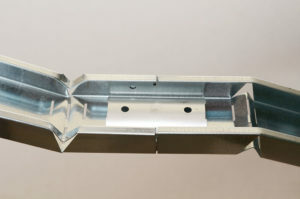 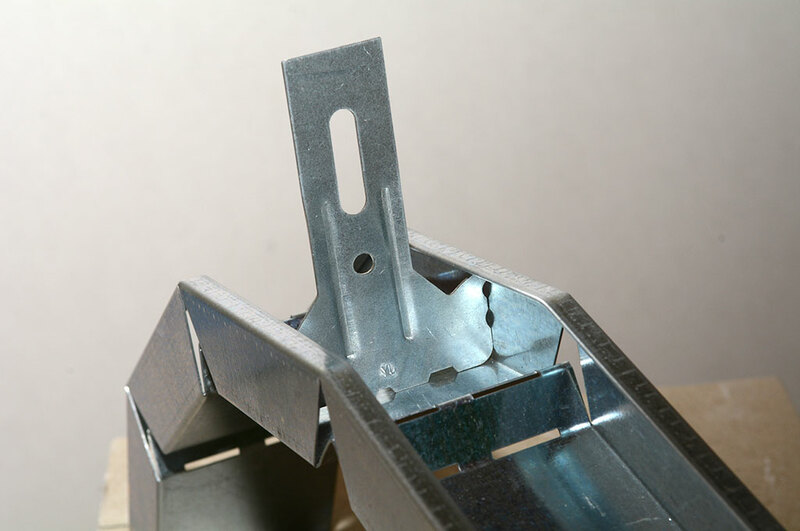 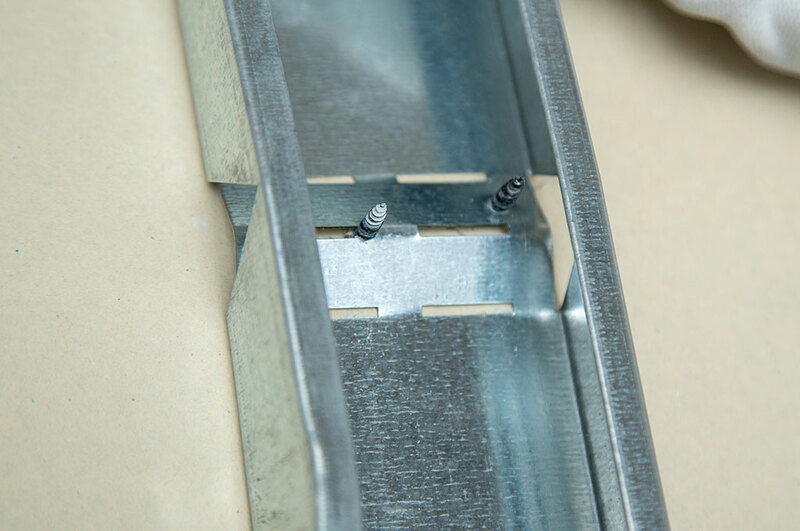 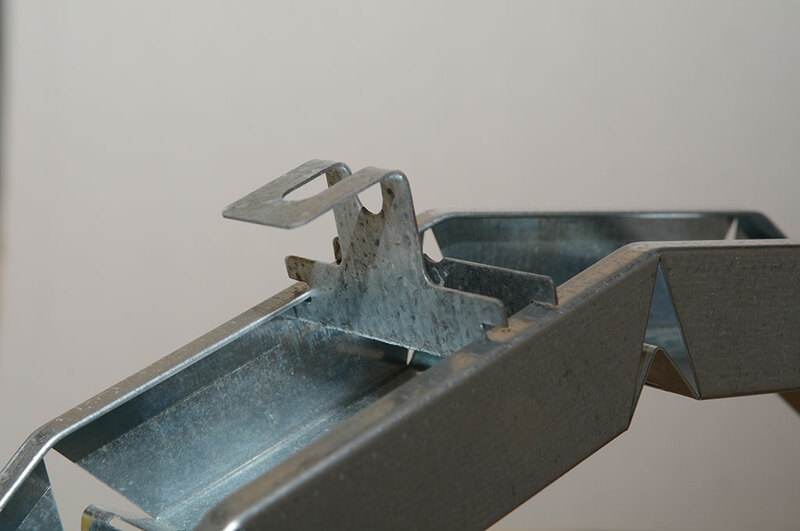 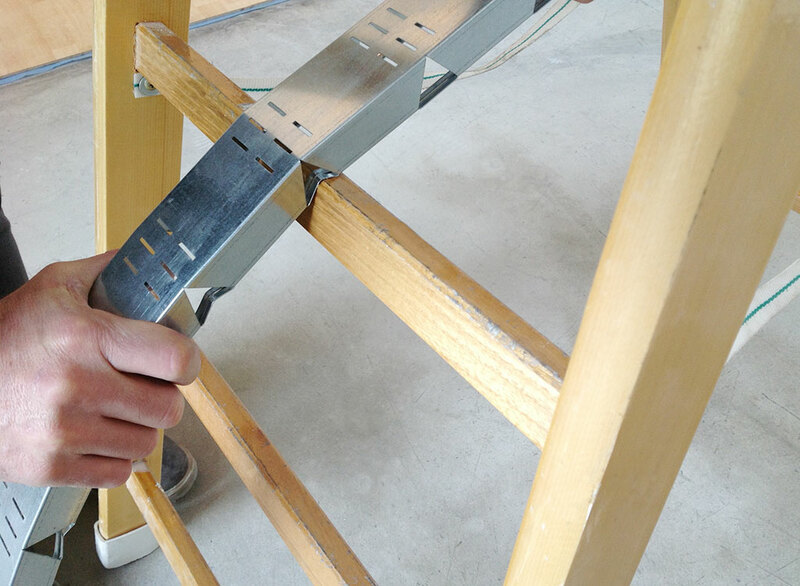 The standard accessories 60x27mm for drywall constructions can be used with our Studs, such as orthogonal hooks, linear joints and spring hooks. For wall to wall connection, just insert the Curving Stud into a COBRA Curving Profile, which has been bent at the appropriate angle.